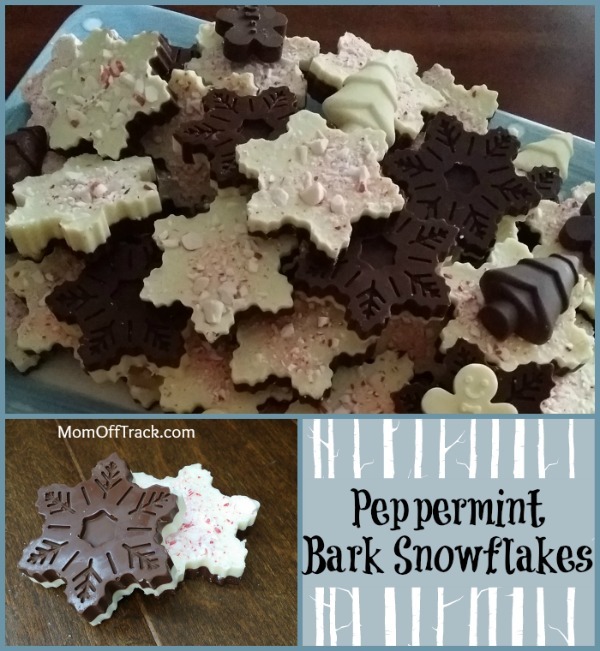 Last year I made some Chocolate Peppermint Bark Snowflakes for our Christmas Cookie Exchange. 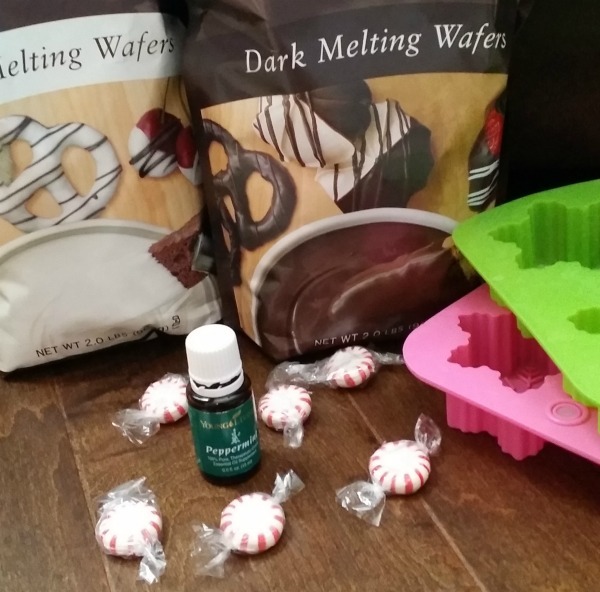 They were a big hit and I decided to re-make the recipe this year to replace the peppermint extract with peppermint essential oils. 4-8 drops Peppermint Essential Oil. Click here if you just want to buy a bottle of Peppermint Essential oil. 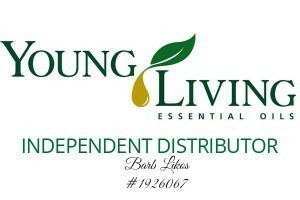 Click here to buy a Young Living Premium Starter Kit for a great price that includes Peppermint and a 24% discount on all your future YL Oil Orders. Step 1: Microwave the dark chocolate chips. I did mine in batches of 18 snowflakes. I microwaved 3 cups of Ghirardelli wafer chips on 50% power for 3 minutes, stirring each minute. You can melt these over a double boiler as well if you prefer. Step 2: Stir in 2-4 drops Young Living Peppermint essential oil into the dark chocolate. Pour into the mold about 1/4 inch thick. Be careful not to spill any of the chocolate onto the sides while pouring. Place in refrigerator to set approximately 30-60 minutes. Remove from refrigerator for next steps. Step 3: Microwave the white chocolate chips. I did mine in batches of 18 snowflakes. I microwaved 3 cups of Ghirardelli wafer chips on 50% power for 3 minutes, stirring each minute. You can melt these over a double boiler as well if you prefer. Step 4: Stir in 2-4 drops Young Living Peppermint essential oil into the white chocolate. 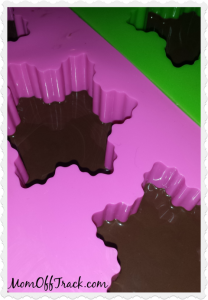 Pour into the mold over the set, dark chocolate about 1/4 inch thick. Step 5: Sprinkle smashed candy cane pieces on top. Place in refrigerator to set approximately 30-60 minutes. Step 6: Remove from molds. They should just pop right out. These were super yummy!! 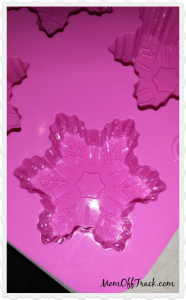 I found a gingerbread mold today.. can’t wait to try them. They were gorgeous too! So tasty and beautiful. Yum!!! I think I want to make these and put them into a milkshake! They make a great presentation I would love to serve these.